Need I say more? This little gem is something I ran across a while ago on one of my favorite sites, bakerella.com When I grow up I want to be a baker like her, she is inspiring, but back to the lemon bars. So I keep thinking about them and finally decided, why wait? seize the day and make them now! These Lemon Bars are bursting with bright lemony goodness atop a delicious crust, they are sure to be a hit with any crowd. 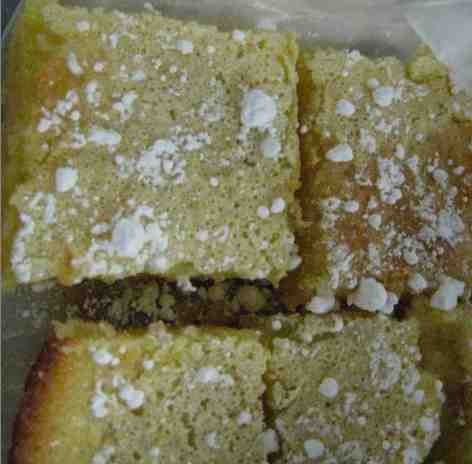 So I did, when visiting over at my sister’s house, she loves lemon bars too, we made the day dreams a reality. And boy was it a tasty reality! My family and friends know me as kind of a health freak, which for the most part I am. But bread and sweets are my weakness, I mean everyone has one, I can just admit mine. TRUST ME – You want to try these, waiting will only make you want them more. Enjoy and happy baking! ok. so you are familiar with bakerella, GOOD! I LOVE her. have you tried cake pops yet? they are DE-LISH! I will have to try these!